The reading club meets at 10 a.m. on Mondays and 7 p.m. on Tuesdays. This is a guide for all Christians aspiring to union with God, which, according to Brother Lawrence, is the ultimate goal of every soul. The new Image edition of The Practice of the Presence of God is a reissue of the 1977 translation that was the first to appear in decades. It features an in-depth Introduction by John J. Delaney that examines what is known about Lawrence's life, how the book came to be, and its ongoing relevance throughout the ages. 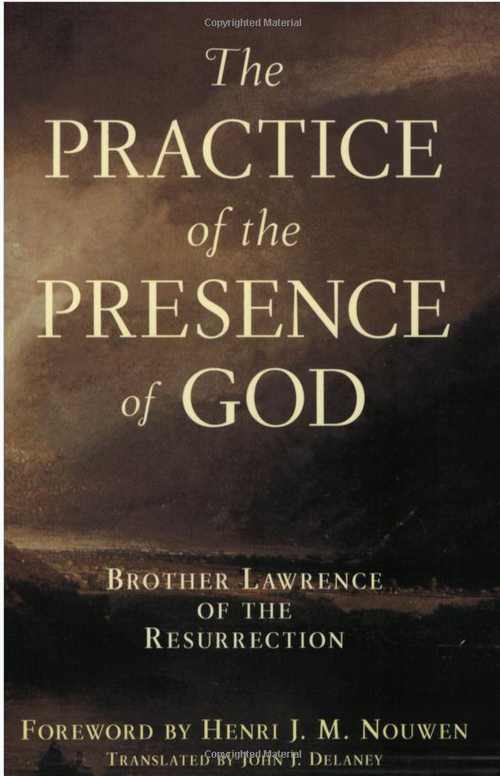 In short, this little spiritual classic -- in its fresh, contemporary English translation -- renders the simple wisdom of Brother Lawrence accessible to every Christian who yearns for the fullness of life. Courtesy of Amazon. Join Father Orrin and group members to explore the ultimate goal of every soul.